The style and size of service is unique to each individual. 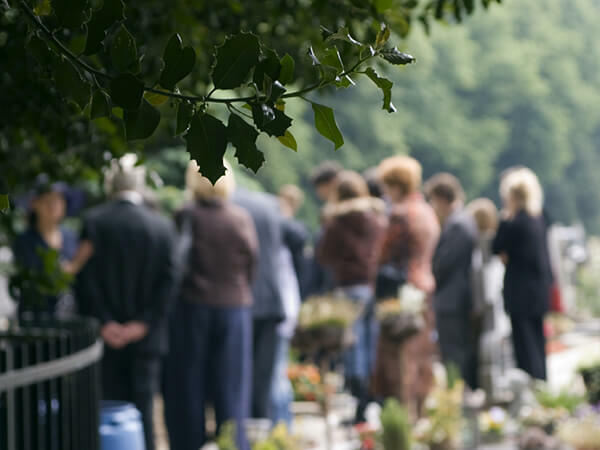 We offer the traditional service with viewing, direct burial, cremation, memorials, and any other type of service that suits the needs of the family and provides a tribute to the memory of their loved one. Traditonal funerals usually have visitation either the evening prior to or just before a funeral service. This visitation offers the community, family and friends to pay their respects and also provides a little extra time for the family to spend with their loved one. Direct burial usually involves a small, intimate graveside service for the family and close friends. Many families choose this type of service for a more quite gathering. Cremation is a process which brings the body back to it's original elements. Families choosing cremation may still have a memorial service which displays the loved one's unique personality. We can provide a service where the favorite golf clubs and displayed, the quilts one held so dear, or the collection the family member loved to display in their home. Each service is always planned to pay tribute to the life that was lived.